Asked what brought her to the decision to open a bookstore on Capitol Hill, Gillman says, “About a year ago, I realized that I was annoyed by the fact that I had to leave the neighborhood to go to a bookstore….Then I became a little obsessed by the idea of an indie bookstore in my neighborhood. I couldn’t let it go….” She chose the name East City Bookshop, because she wants to serve the eastern side of the city, where there are no general interest bookstores. 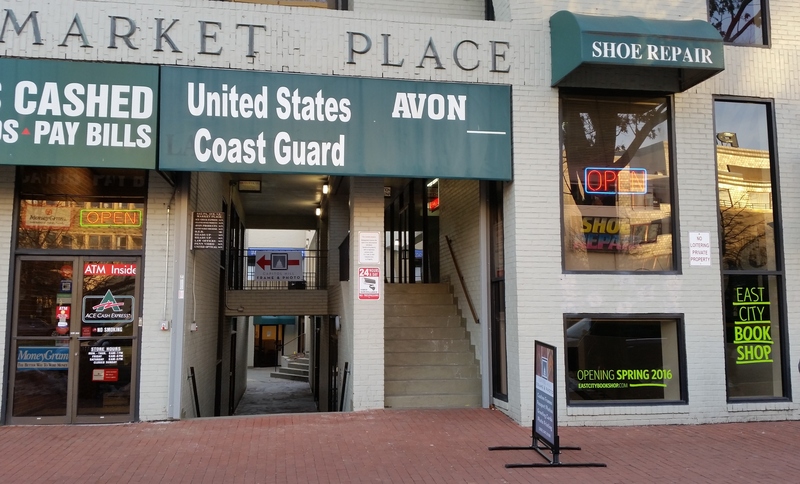 The new store recalls Trovers Books, the much-loved 50 year community institution at 221 Pennsylvania Avenue, SE, which closed in August, 2009. 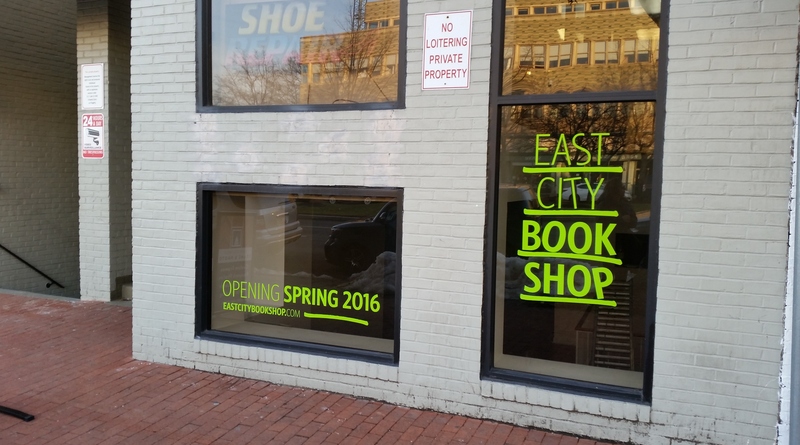 The new outlet will be the third bookseller on Capitol Hill, joining Capitol Hill Books, a used book store on at 657 C Street, SE, and Riverby Books, at 417 East Capitol. The Fairy Godmother, at 319 7th Street, SE, is a children’s bookstore that has served Capitol Hill for some 30 years. East City Books sees room for a customer base not served by any of these outlets. To echo Mark Fraker: totally wonderful news. Like so many I have constantly mourned the closure of Trovers. And what a grand community welcome awaits East City Bookshop and Laurie Gillman via The Literary Hill Bookfest! Thanks Laurie for doing this! Forgive me Mary – how did I make you a “Mark”! Generally, that little building, which is a “new” and poorly designed building in the place of an old theater, doesn’t work very well for retail. Of course, it’s exacerbated by the fact that the block is 2x the size of a typical DC block. Hopefully a super well programmed business can break the cycle. Although I won’t be particularly hopeful. Upshur Books is very very small, but is highly visible and has a great large storefront window, and is integrated with the business operations of two restaurants owned by the same group–those businesses are next door and across the street, which help to drive customer traffic to the store. There is a new used bookstore on Georgia Ave., but I haven’t been able to check it out yet. Be hopeful! Despite the, shall we say–quirkiness–and drawbacks of the space, it is surprisingly workable and in an excellent location. Be sure to come check it out when we’re open, and thanks for your interest! Just wanted to say — I’m so excited about this! I love bookstores like Kramerbooks and Politics and Prose, but like you have been annoyed that I have to go on a trek to get to them. I definitely think there are a lot of readers around here to support you! Thanks for bringing this to the neighborhood. Great News! I have been hoping we would have a book store selling new books in the neighborhood again. Thanks.